Heart-Shaped Meteorite for Valentines Day? 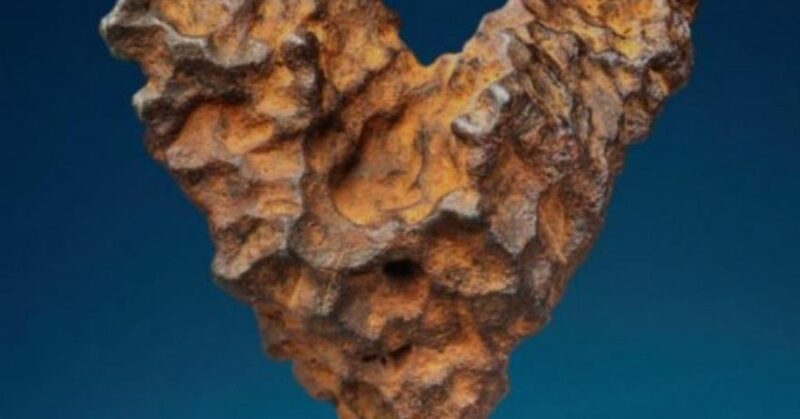 A British auction house is offering an unusual item just in time for Valentine’s Day: a 22-pound meteorite shaped like a heart. The auction house, Christie’s, said “The Heart of Space” meteortize was part of an iron mass that split from the asteroid belt 320 million years ago and fell to earth Feb. 12, 1947. Christie’s said the meteorite is expected to fetch a high bid of $300,000-$500,000.